Give your skin luster and nourish all of your skin care needs with Nujuvena DAILY Moisturizer. This daily face cream is filled with 22 of Nature’s Ingredients that nurture, balance, and restore, leaving your skin with a happy, healthy glow. Daily Moisterizer is specially designed to help reduce the appearance of fine lines and wrinkles and to moisturize, condition, and soften the skin. There are no added artificial fragrances; just a lovely, fresh scent that is naturally created by Nature's Ingredients. Use every morning over your face, under your eyes, and across your neck. Prices start at just $15 each when you buy a set. Great for Most Skin Types! Nujuvena DAILY Moisturizer is infused with a balancing blend of Nature's Ingredients to trigger a more balanced production of the skin’s natural oils. Rich nutrients in Nujuvena DAILY Moisturizer target deep beneath the top layers of skin for hydration like you've never had before. The special blend of Nature’s Ingredients in Nujuvena DAILY Moisturizer supports the skin’s oil and moisture regulation and helps to provide overall balance. "Normally, I hate to put any lotion on my face. But now that I am 40, I see that I need a moisturizer. I thought that I would try the new Day Cream. It feels really nice- not heavy or oily! Thank you!" "I am in love with the Day and Night creams from you guys. I try to be really careful about not using nasty chemicals on my skin, but sometimes that has meant using creams that look, smell, and feel weird. Your creams are silky and smell heavenly!" 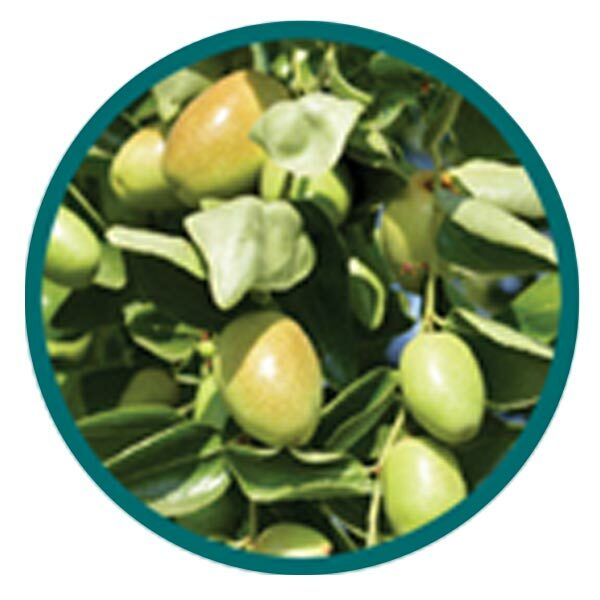 Jojoba oil locks in hydration and keeps skin and lips soft and supple. It moisturizes without clogging pores and helps reduce wrinkles and signs of aging. 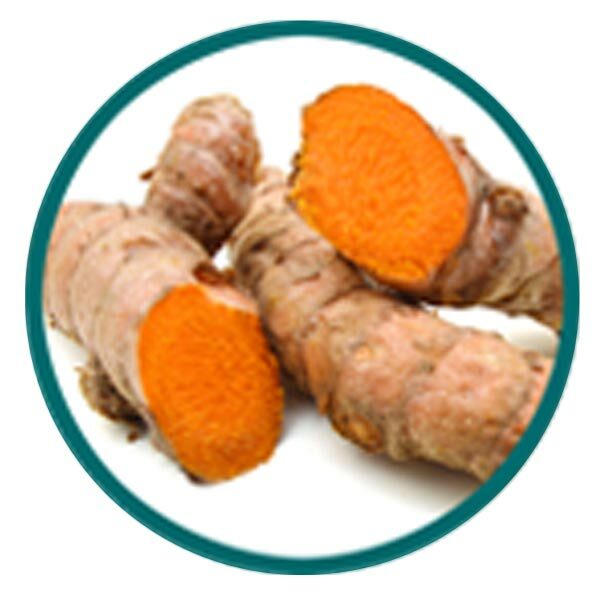 Turmeric has been used for centuries by Eastern Asia and the Middle East. It has long been known for its soothing qualities, but lately, it has reached a whole new level of popularity. It is rich in antioxidants, hydrates skin, improves skin elasticity, and supports the overall health of skin. This oil is obtained by pressing the seeds of a wild rose bush. It is highly regarded for skin care because it is rich in Omega 3’s and 6’s, vitamins, and antioxidants. 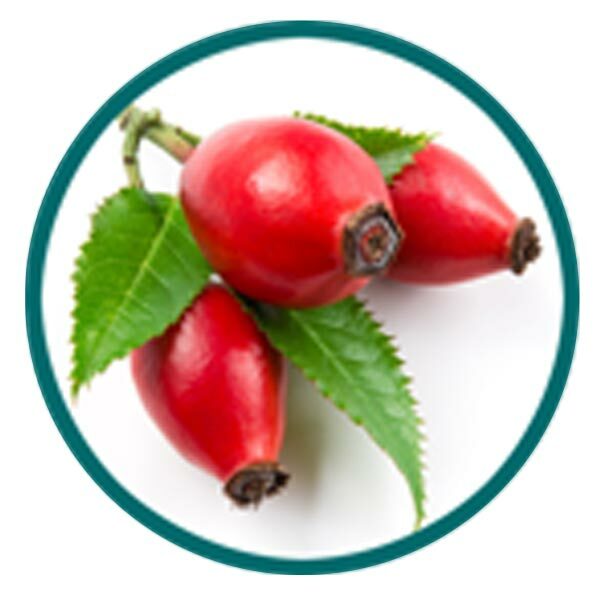 Records indicate that the ancient Egyptians, Mayans, and Native Americans used rosehip oil for its healing properties. 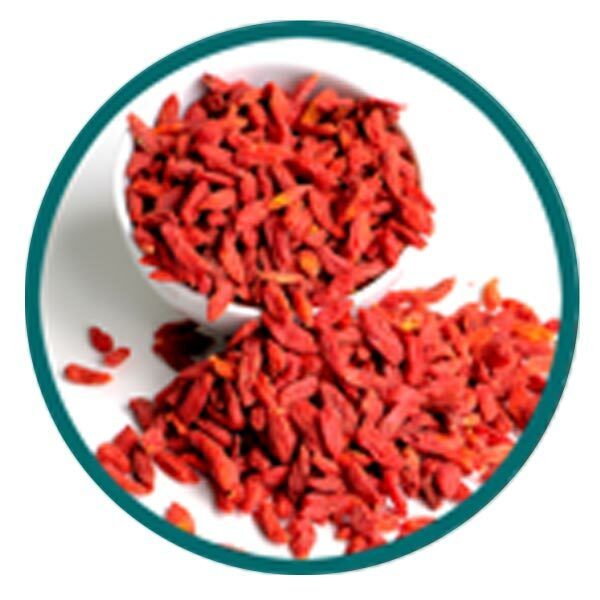 Goji berries grow on the Lycium Barbarum shrub, which is a native of China. Ancient Chinese legends were passed down through the centuries about how these bright red-orange berries can help people live long, healthy lives. Extracts of goji berry are rich in antioxidants and have detoxifying properties, which can benefit skin tone and appearance. Both the Day and Night Face Creams from Nujuvena are filled with more than 20 of Nature’s Ingredients, so your skin will get more nourishment per application than ever before. That is 3-5 times the amount you’ll find in most leading Face Creams. Each one of the Nature’s Ingredients in Nujuvena Day and Night Face Creams were selected to address the specific needs of most skin types. Use Nujuvena Day and Night Face Cream for balanced, glowing results for the skin on your face and neck. Since Nujuvena Day and Night Creams are free of parabens, SLS, dye, phthalates, and fragrances, your pores will not be clogged by unnecessary and harmful residue. Nujuvena Day and Night Face Creams offer rich nourishment and absorb quickly. You can apply make-up, sunscreen, or any other finishing touches to your daily face routine minutes after applying Nujuvena Day and Night Face Creams. Nujuvena Day and Night Face Creams are packed with more than double the amount of Nature’s Ingredients that cutting edge research has shown to help minimize the signs of aging. Feel good, look forever young! 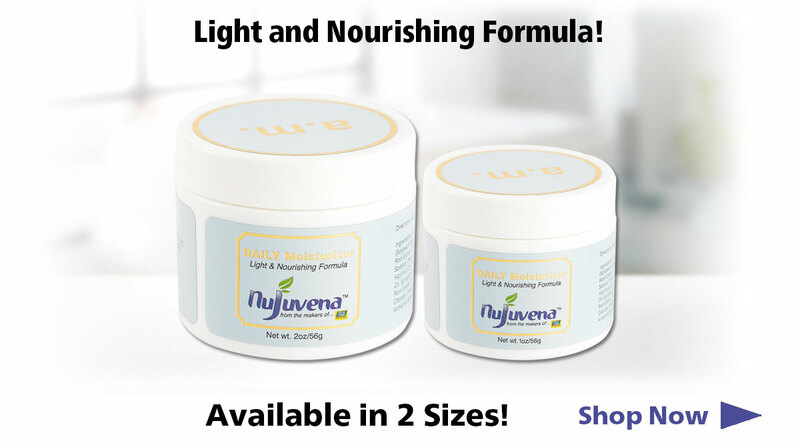 Both the Daily Moisturizer and Revitalizing Night Cream jars from Nujuvena contain a full 2oz of densely packed creams and are priced at $29.95 each. The majority of our competitor’s jars only contain 1.7oz of face solutions diluted with cheap, harmful ingredients, and their price tags are often considerably larger! What are the Benefits of the Nujuvena Daily Moisturizer? What are the Features of Nujuvena Daily Moisturizer? What Nature's Ingredients Are in Nujuvena DAILY Moisturizer? 2) Can Nujuvena Daily Moisturizer be used under the eyes? Yes, but avoid the eyelids. 4) How long will it take to see results? Softening and moisturizing are almost immediate upon application. 6) Does Nujuvena Daily Moisturizer hinder the application of makeup? No. This light formula absorbs quickly and does not leave an oily residue on the skin. How To Use Nujuvena DAILY Moisturizer? 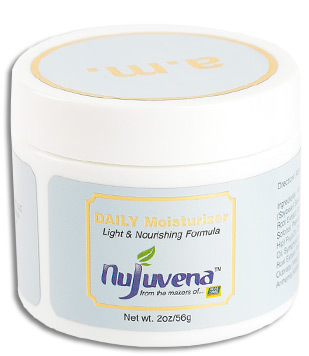 Using light, gentle upward strokes apply Nujuvena DAILY Moisturizer over your face and across your neck. What size is Nujuvena DAILY Moisturizer available in? Introductory Offer - Buy a 2oz Jar of DAILY Moisturizer and get a 2oz Jar of Restoring NIGHT Cream FREE. That's a $60 Value for only $29.95, Click Here to Buy Now!